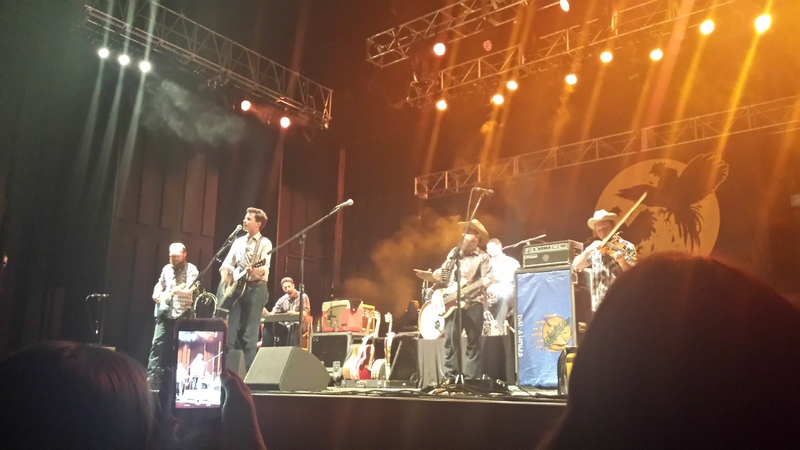 I went to see the Turnpike Troubadours in concert this past Saturday night and it was AMAZING! The concert was outside at the Annette Strauss Square, located on the side of the Winspear Opera House on the edge of downtown Dallas. The venue was great, the weather was gorgeous, the music was wonderful- it was a fantastic evening! One of the best parts of the evening was that everyone at the concert got a FREE copy of their new CD! It doesn’t come out until Friday, September 18, so it was fun to get an early copy! I’ve been listening to it non-stop in my car since Saturday and it is so good, you guys!! 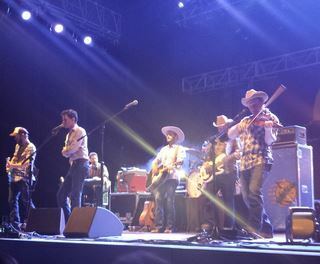 This isn’t the first time I’ve seen them live- I saw the Turnpike Troubadours a few years ago when I was living in Springfield, MO. I went with a few girlfriends to see them at a tiny little venue (I think the ticket was only like $10, compared to the $38 I paid this time!) and they were amazing back then, too. That concert was my introduction to Red Dirt country music (all thanks to my friend Brooklyn!) and I have loved it ever since! Think of it as indie country music. It is not at all like the country songs you hear on the radio today (thank goodness, I’m not a huge fan of that stuff all the time) and there are some really great bands and singers out there. 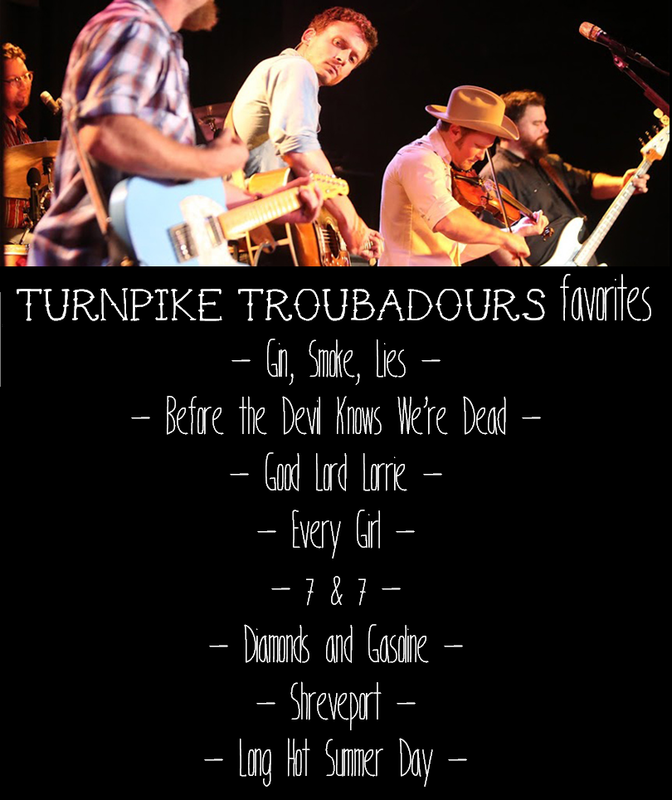 I went through and picked out some of my favorite songs from the Turnpike Troubadours- I highly recommend that you go give them a listen (I added a playlist with all the songs at the bottom of the post!) I didn’t include any from their new CD simply because it hasn’t come out yet… but trust me, it will be worth a listen! Enjoy the songs I picked! I just have to tell you that going to a concert by yourself is so badass. Good for you!! !